History of TRAJEKTNA LUKA SPLIT d.d. In 1999 the company TRAJEKNTA LUKA SPLIT d.d. (FERRY PORT SPLIT plc) was established, following privatisation of its legal predecessor, the company “Luka Split”, established in 1961 by the Regulation on establishing the companies and business operations (SFRY Official Gazette no. 51/53) and under the Act on Utilisation of Ports and Harbours (SFRY Official Gazette no. 24), founded by the Municipality of Split, by its decision dated 22 December 1961; Municipality of Solin, by its decision dated 15 December 1961; and Municipality of Kaštela by its decision dated 26 December 1961. The company was registered with the Commercial Court Register on 24 May 1962. By these decisions, the founding members granted to the company “LUKA SPLIT” authorisation to carry out all operations related to the principal and the auxiliary activities set out in the aforementioned decisions in the entire area of the port of Split, i.e. management, utilization, construction and maintenance of the maritime domain representing the port area, as well as all objects of port infrastructure and superstructure, including providing basic port activities (mooring-unmooring of ships, water supply, etc.). Since 1979 the company headquarters are located at the address Gat sv. Duje 1, in the building of the Marine Passenger Terminal, where the company owns approximately 11% of the premises, using business premises on the 1st floor with area of approximately 350m2 for company operations, whereas one part of the ground floor of the building is being sublet to other businesses. Activities of TRAJEKTNA LUKA SPLIT d.d. Split is the second largest town in Croatia and is an important cultural, tourist, industrial, commercial and sports centre of the Dalmatian region. The Port of Split is located on the Adriatic Sea coast and is one of the central hubs for local and international maritime transport. 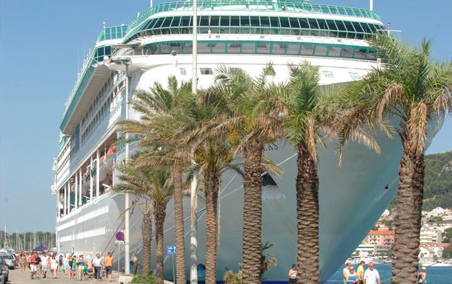 The port ranks as the third largest passenger port in the Mediterranean (right after Naples and Piraeus), with annual traffic of approximately 4 million passengers and 800,000 vehicles. 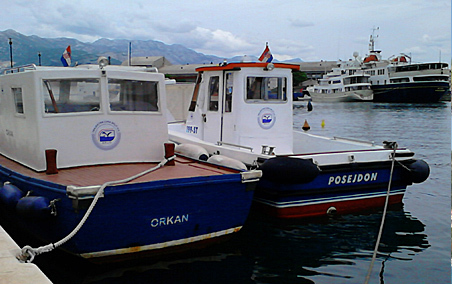 Due to its size and importance it is a port of particular international economic interest in Croatia. It is also recognized as part of the Trans-European Transport Network (TEN-T). This network includes ports which are essential for the efficient functioning of the internal market and the European economy. 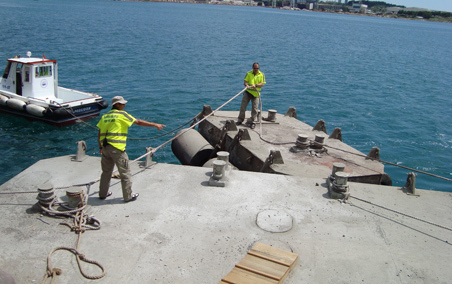 The port is managed by and under the authority of Split Port authority. 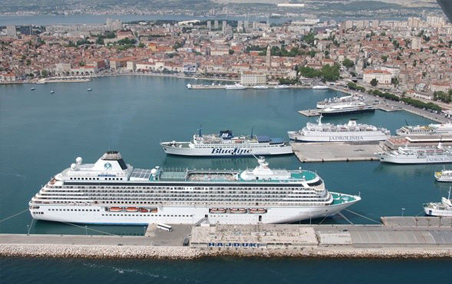 Due to exceptional historical heritage and 1,700 years long tradition, the port and the town of Split have become one of the favourite stops on the sailing itinerary of cruise ships.